Your specialized skills may not give you the ultimate edge when you’re new to the workforce, but your network might. It used to be that the only way to climb a career ladder was to pick up more skills. Learn how to do A, get paid more for it, and earn job-title B. Each new capability you mastered got you to that “next level”. Today, many of those ladders have faded away. Lately there have been efforts to try some new ones, with new skills–usually a new degree or specialized training was the key to staying competitively marketable in the job market. Some skill sets really are in higher demand than others, so it makes sense that undergrads and entry-level workers to brush up in certain subject areas to get a competitive edge. But this kind of advice still reflects a “ladder-climbing” mind-set in a world where talent and people’s entire careers are much more fluid. More often the thing you need most is ADAPTABILITY, not just a new skill. And it’s not easy to adapt if you don’t have a great network you can tap into. Unemployment and underemployment are still a common problem for job searchers. That means you should look for ways to advance your career outside the traditional corporate hierarchy. But sometimes that can be an advantage. With fewer ladder-like jobs inside big companies, younger workers no longer have to wait as long for someone ahead of them to move on or retire to advance. The gig economy is also a factor here. More employees are ditching traditional 9-5 models (both by choice and circumstance) for project-based work. And as freelancing becomes more common, your ability to source new options for work is at least as important as your ability to execute it. Your skills matter, but they’ll only get you so far. If you’re less than 5 years into your career, it’s probably time to prioritize building your network the same way the generation ahead of you was told to develop their skills. The fact is that people in the early stages of their careers often have little control over how they develop their skills since they are often controlled by an employer. Finding ways (and the time) to deepen your skill set isn’t always easy. But one thing you can work on by yourself is network building. In fact there’s probably no more crucial task early in your career. Whether you work in a service industry, administration a nonprofit or in the typical corporate world, your network can extend your access to knowledge. If you know the right people, you can tap into their skills rather than having to acquire them all yourself. This lets you find better solutions faster which can become a competitive edge. Twitter isn’t just another social network, it’s a powerful networking and educational platform. Start compiling some Twitter lists of professionals in your field. See what they tweet about and who they engage with. Chances are they’ll help you discover more potential prospects. Join Twitter chats. Engage with others and share your views. Many exchanges that begin on social networks often evolve into valuable network connections. Networking is a job skill you can develop like any other and it can give you some structure. As you accumulate connections, it’ll get harder to remember who has what background and skills. Consider using a free contact management tool like the cloud based www.airtable.com relational database that works like a spreadsheet to and add tags to your network so you can easily search and find contacts based on their location and skills. Great networks don’t happen by chance. They’re consciously crafted over time. Think of the areas inside and outside a field you’re curious about, and look for individuals with experience in that area that you can add to your network. The key to a great network is generosity. You need to be willing to give freely of your own experience. This may be hard early in your career, when your experience is limited. But just giving what you can (time, insights, even a couple of shares on social media) help you show your network that you will be there for them when they need you. More than any technical skill, one of the best ways to advance your career is to start thinking of networking as part of your day job before you need one. As as job search coach and employability skills trainer for 15 years, I have often spoken with people not just looking for work, but looking for work that matters. In many cases, they have talent and drive but never seem to find a “lucky break” that can take them to a level of career success that is remarkable. More often than not, the missing ingredient for them to go from good to great is marketing, also known as personal branding. Without the right “packaging”, the product YOU, may not have the perceived value of being remarkable. Quite often, the careful crafting of what you can offer is often the difference between getting hired or getting ignored and can ultimately determine the income you can earn. Think of the difference between someone passing out their resume in front of a Starbucks or including it in a portfolio handout as part of their presentation for an industry group meeting. If you’re just posting your resume on job boards, your “perceived value” may be a lot like the guy in front of a Starbucks. Packaging is also as important as it relates to your professional appearance, how you look for a job, the company you keep, how you write your resume and the quality of your social presence on the Internet. Consider this example of how “packaging” can make a difference. It’s was a cold January morning in 2007 at the Washington, DC Metro Station where a man with a violin played 6 Bach pieces for 45 minutes. During that time about 2000 people went through the station, most of them on their way to work. The musician opened his violin case so those passing could make donations. After 3 minutes a middle aged man noticed there was a musician playing and slowed his pace and then stopped for a few seconds. He then kept walking. After 7 minutes the violinist had received a dollar from a woman who threw the money in his case and continued to walk. After 13 minutes, a young man leaned against the wall to listen to him play. He then looked at his watch and walked on. After 23 minutes a 3-year-old boy stopped to listen to the violinist before his mother nudged him to move on. The child continued to walk but kept turning his head back all the time to look at the musician. Several other children also stopped to listen to the music but without exception their parents forced them to move on. During the 45 minutes the man played, only 6 people stopped for any length of time to listen to the music. Only one person recognized who the musician was and put a $20 bill in his case. After an hour, he finished playing. No one applauded. No one knew that the violinist was Joshua Bell, one of the greatest musicians in the world worth $16 million and he played a violin worth $3.5 million. Two days before, Joshua played to a sold out a theater audience in Boston where the seats averaged $100 each. The talent was there but without marketing and being in the right venue, Joshua was perceived as just an average street vendor begging for some extra cash. If someone Googles your name, what will they find? Do you have a personal website that highlights your expertise and reflects that you are an expert in your profession? Are you active and connected on social media with professional peers indicating that you are engaged in your profession and looking for something more than “just a job”? Do you use the tools of the Internet like Buffer, Twitter and LinkedIn as well as contact automation tools to be responsive to people interested in connecting with you? Is your expertise highlighted in a Blog where clients or employers can get an idea of your thinking and what you can offer that is valuable? Now more than ever, you need the right venue and packaging to connect with the right people. Just having a resume that’s posted on job boards will rarely offer you the chance to be recognized as someone remarkable and marketable because of your talent. The New Year-Yes or No Not Maybe? For many, a new year on the calendar means that it’s time for personal and professional goal-setting and resolutions. But, before you start mapping out your game plan for landing that new job or promotion, it might be time to think about whether the same old ways of getting ahead are actually holding you back. Consider this transformational thinking to change your work world in 2016. Being safe IS risky. A lack of clarity in what you want out of life or too many options can cause “analysis paralysis”. In today’s world of constant and rapid change, you have to be committed to a goal not just curious if you can reach the goal. You can be comfortable or remarkable, but usually not both. The key to going from invisible to remarkable is to get out of your current work-world comfort zone and into your passion zone. Employers (customers) today want to see and feel that interacting with your personal brand is something that is unique or compelling relative to your competition. You have to differentiate yourself from being ordinary to becoming extraordinary. More often than not, it’s your passion about what you represent that makes the difference in you being a success or not. Realize that it’s often what you STOP doing that makes you a success or failure. If you’re looking for work, stop scanning job boards and start focusing on building relationships with industry leaders. If you don’t have time to think about building a personal brand, decide what you need to stop to free up time to get things going. It’s that simple. Consider, Dilbert, a comic strip written and drawn by Scott Adams. It’s known for its satirical office humor about a white-collar, micromanaged office featuring the engineer Dilbert as the key character. The strip has generated several books, an animated television series, a video game, and hundreds of Dilbert-themed merchandise items. Dilbert appears in 2000 newspapers worldwide in 70 countries and 25 languages. For 6 years, he worked at a day job while doing the Dilbert comic strip mornings, evenings and weekends. Then Adams bought a book called “1986 Artist Markets” and followed the instructions on how to get syndicated. He drew 50 sample strips and mailed copies to the major cartoon syndicates. United Media called a few weeks later and offered him a contract. Dilbert.com was the first syndicated comic strip to go online in 1995 and is now the most widely read syndicated comic on the Internet. Scott essentially built a bridge from where he was to what he wanted. He passionately focused on making his goal to be syndicated a reality. The rest is history. If you take risks, expect to fail many times. Failure is part of the process of learning. In fact, negative feedback is often some of the most important information you can get, if you use it to redirect yourself in reaching your goals. Look at people who are successful and you will almost always see a path of rejection followed by success. Consider Anderson Cooper from CNN. Anderson Cooper wanted to be a foreign news correspondent but couldn’t even get an entry-level job at any of the major networks. He ended up working as a fact checker for Channel One, an agency that produces news programs for high schools. Cooper quickly realized that when you are at a job people tend to pigeonhole you in whatever role you are in—and sometimes you have to do something drastic in order to change people’s perception of you. So he quit his job, borrowed a friend’s video camera, and went overseas to shoot stories by himself. Living on just five dollars a day, Cooper made his videos as interesting and dangerous as possible, then offered them to Channel One for such a low price that they couldn’t refuse. This bold move is what launched his career and enabled him to live his dream. If you knew you only had 3 years to live, what would you do differently? Clearly define what you want as a career and go for it! The time has come to stop looking for what’s available and build a bridge to what you really want from your life. Think about it from the perspective of a blogger. A blog about cooking is a niche. A blog about cooking with Malbec wine is a super niche. The job market will open up to you when you market yourself as an authority in a clearly defined super niche. You need to create a ‘first to market’ opportunity by packaging what you can offer as something that is highly specialized. Essentially, you need to discover an “expertise gap” in your job market area where you think there is a critical need for what you can offer. When you focus on delivering an in-demand and highly relevant service as a solution to an employer’s needs, you’ll be perceived as a problem solver instead of a job searcher. Being relevant cuts through the noise makes connecting easier and can build your authority quicker. The power in super niching lies is that it makes you relevant to those employers that matter– the ones that need your help the most. It’s not about how many employers you contact, but the right employer, that will get you to an employment offer. Since most employers will find you on-line, consider producing niche content via a website or blog to expand your personal brand and establish yourself as an expert. Super niching will help you to attract the right employer and lead them to you as a solution to their needs. The employment marketplace is quickly becoming the era of ‘Super Niching’. Online search has created a wonderful by-product; it has changed the need for job searchers to cater to a broad range of potential employers to a market where you can target a specialized audience of people that need what you can offer. Your job market can be quickly discovered, tested and launched with a clear purpose. 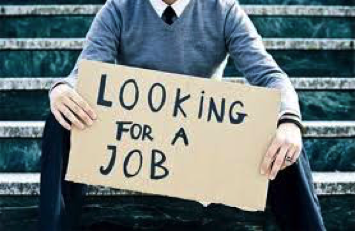 Too often, job seekers turn to large, well-known job boards like Monster, Indeed, CareerBuilder.com, or SimplyHired. But tapping into niche sites, which offer listings for a specific industry or location, increases your chances of not only of finding the job you’re looking for, but also of landing that job. Contrary to popular belief, large job boards don’t aggregate all listings. Smaller, more targeted sites usually include openings that don’t show up elsewhere. They often offer contact information for the hiring manager rather than routing you to a generic application, which means your resume is more likely to get noticed. Applicants from niche sites also tend to be more qualified because their skill sets are more often matched to what an employer is looking for so you’ll compete with fewer candidates than you would on well-known sites. Using niche sites makes you a bigger fish in a smaller pond. You have more chance of standing out on a niche job board than you do on a Monster board. Many smaller companies often prefer using niche boards to find applicants because they tend to get responses from higher quality candidates and they have to sift through fewer applications to find the right hire. Take a look at the Top 18 Niche Job Sites for 2015 http://abt.cm/1JNKprC and discover how micro-focused some sites are. Consider Erik who worked as a curriculum developer and how he landed a job using a super niching strategy. He worked with a company focused on 1-on-1 mentorships from industry technical experts, yet he wanted to work at a larger technology company. After narrowing down his list to who he wanted to work for, he built a webpage for each potential employer highlighting his technology skills. The strategy got him call-backs to every company he applied to including Google and Khan Academy. Do a LinkedIn search for potential employers and related hiring managers in your niche. Look for people similar to that hiring manager that will show up on the right side of their LinkedIn profile with similar industries and job titles. Also look at the “People Also Viewed” section. This will show you the people that are similar offering you a broader group of contacts to consider. If you and that hiring manager have mutual connections, request an introduction. Join his or her groups and make contacts with the group members and then like or comment on their discussions. Once you’ve made group connections, follow-up with contacts that show up on “Who’s Viewed Your Profile”. This process will also add you to a hiring manager’s, “Who’s Viewed Your Profile” list which links you to their network even if they don’t contact you. Give job search “super niching” a try as an alternative way to get found in a competitive labor market Avoid the “job search raffle”. Don’t throw your name in the bowl hoping it’s drawn. Create situations where you’re one of the few or the only name in the bowl. If you take time to study the job search process, you’ll discover the #1 way people connect with jobs is through referrals. Everyone in the recruiting industry already knows that the best people get jobs by either moving internally within a company or they are promoted. The remaining new hires primarily come from referrals. If you’re a job seeker, you should stop applying to job boards as your primary target and shift your mindset to building relationships instead of just looking for jobs. Consider this transformational thinking to put yourself in control of your job search. Spend No More Than 15% Of Your Time Applying Directly To Job Postings. Unless you’re a perfect fit, it’s a waste of time. It’s also important to note that many posted jobs actually don’t exist. Many recruiters post jobs to collect resumes for future use, for market research or to collect data to determine average pay rates. Sometimes companies will hire recruiters to look for candidates and set up a contract where the recruiter won’t recruit from the client company to fill other positions. This strategy is like an insurance policy where no jobs actually exist and the recruiting firm will not recruit from that client company. You as a job poster and left wondering why you never got a call. Use Job Postings As A Leads And Go To The “Back Door”. When you find a posted job, try to find out the department manager or someone connected to the hiring manager to target as a referral contact. Avoid going through HR as an entry point to a company. Use the “back door” which is getting a referral from a company insider who can help you bypass the competition and get in front of a hiring manager. Become A Real Networker. Networking is not about meeting as many people as you can. It’s about meeting a few well-connected people who can introduce you to a few well-connected people you don’t know. Never forget that you have to give to get when building a network. Think of ways to help people get what they want they will help you get what you want. Do Some Homework. An MBA student prepared a competitive analysis for a company he had targeted. He sent it to the VP of Marketing and got an interview. Consider a mini-project like this to demonstrate your capabilities. Offer A Low Cost Trial Employment Period. There’s always a risk when an employer hires someone. To reduce this risk, offer to work on a small project on a contract or temp-to-full time basis at a reduced rate so an employer can try-before-they-buy. Practice a 2-Minute Answer To Key Questions. Find a bunch of standard interview questions and force yourself to answer each question out loud for no more than 2 minutes. The #1 reason most people fail an interview because they talk too much. Control the interview. Ask an interviewer to describe what problems they need solved. Then give a 2-minute example of what you can offer as a solution for each one. Define What Makes You REMARKABLE. Don’t focus on your qualifications. It’s better to define what you can bring to the table that will help company make money save money or solve a problem. Do your homework so that you can clearly focus on what solutions you can bring to the table. Making an effort to understand a company’s needs will make you stand out among other candidates. The key to the job search process is focusing on relationships instead of jobs. Spend 80% of your time outside your office or home talking to people and getting them to like and trust you. Job search is a process not an event. Take the time to build your network while you are working. Research has shown that referred candidates are twice as likely to land an interview as other applicants, For those who make it to the interview stage, referred candidates have a 40% better chance of being hired than other applicants. Get referred and get hired. It’s the secret sauce that makes all the difference.